“Just as a bright light can pierce the darkness, the penetrating tones of alt-pop quartet, Cemetery Sun illuminate with an electric, contemporary sound that is shaking up the West Coast. 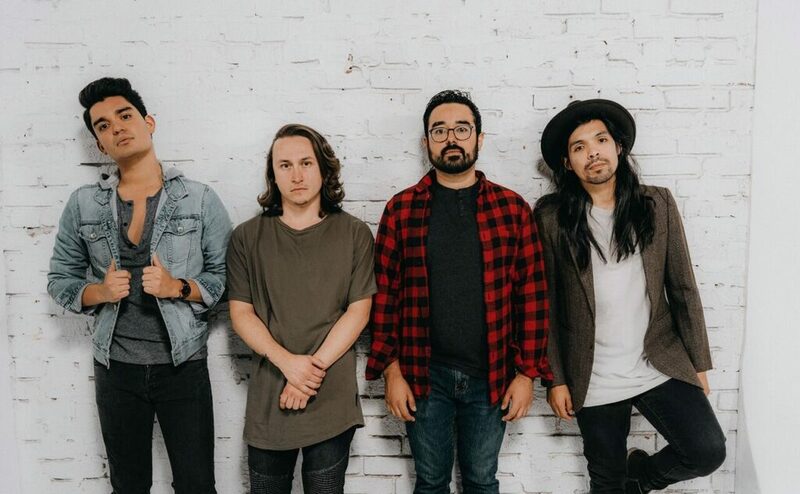 Influenced by alternative rock, pop, and R&B, the project began when Northern California natives Josh Doty (singer), Austen Butler (drummer), Elliot Polokoff (guitarist/producer) and Jesse Mancillas (lead guitarist) met in the studio. “The vibe was there. From the first playback, to the final mix, we knew we had crafted something truly memorable,” writes Elliot. “The rest of it followed suit. We grew at a rate none of us could have ever imagined.” The band finds its center around the idea of overcoming life’s self-imposed obstacles, learning to love what surrounds them, and ultimately discovering who they are and how to pave the way for others. It is a sound that seeks clarity. Thoroughly modern in their incorporation of electropop and R&B influences into smooth, emotional melodic rock, Cemetery Sun balance light and darkness as effectively as their name suggests. This is a band with a sonic palette so broad that there is something for everyone, with the potential to transcend genre and capture the imagination of the public at large.